Jumbo home loans are loan amounts that are over $417,000. This type of loan is similar to a traditional mortgage but it is quite a bit more difficult to get approved for. If you are considering this type of loan, it can be helpful to understand some of the advantages and disadvantages associated with it. Here are a few of the pros and cons of the jumbo loan. The biggest advantage of this type of loan is that you are going to be able to borrow the money that you need for a large house purchase. In some areas, real estate can be very expensive. If you are going to purchase a house, you may need to borrow a great sum of money. This loan is going to allow you to borrow the full amount of money from one loan instead of having to break it up into two different loans. This will also allow you to avoid tapping into your savings to purchase a large house. 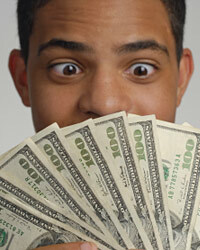 If it were not for jumbo loan programs, you may need to come up with a large amount of cash out of your own pocket. Another advantage of this type of program is that you are going to be able to choose from a variety of different loan programs. For example, you could potentially get a 30 year fixed-rate loan or you could get a mortgage with an adjustable-rate. This is going to allow you some flexibility in your loan terms. Even though this type of loan can be beneficial, there are a few drawbacks that you will need to be aware of. For example, you are going to have to pay a higher interest rate with this type of loan than you would with a traditional mortgage. These loans are risky and the lenders know that they have to charge a higher rate of interest for them. If several of these loans were to go into default, it could be catastrophic for the mortgage lender. Because of this, they have to charge extra to make up for the risk that they are taking on when issuing these loans. Another disadvantage of these loans is that they are difficult to find and be approved for. You are going to have to be able to show that you have a substantial income in order to afford this type of loan. The loan payments for home jumbo loans are much larger than with a traditional loan. Therefore, you have to be able to show that you can earn enough to afford this payment and your other obligations. With home jumbo loans, you are also going to have to show them that you have a good credit history. They are going to pull a copy of your credit report and make sure that your credit score is high enough to get approved. The credit requirements for jumbo loans are more stringent than with a traditional mortgage. What Is a Super Jumbo Mortgage?4 Pros and Cons of AnnuitiesWhy a Jumbo Mortgage Refinance Is a Good IdeaWhat Is a Jumbo Mortgage?